Dhruv Koul shares his in-game reactions, thoughts and observations on Super Bowl LIII between the New England Patriots and the Los Angeles Rams at Mercedes-Benz Stadium in Atlanta. Follow him on Twitter @DhruvKoul to continue the conversation. I’ve mentioned a few times now in various articles and Tweets that I firmly believe the Chicago Bears would be playing in this Super Bowl had Cody Parkey’s field goal gone through against Philadelphia. Alas, it didn’t, and the Bears watched as an arguably inferior Rams’ team beat Dallas and New Orleans in the subsequent rounds en route to the Super Bowl. Nah, I’m still not bitter. Anyway, tonight’s Super Bowl was significant in that there weren’t many significant storylines surrounding the game. The “revenge game” angle from the 2002 Super Bowl when Tom Brady and New England’s defense upset the heavily favored ‘Greatest Show On Turf’ was a stretch at best — Brady was the only still-active player from that game playing tonight, and the Rams have since moved from St. Louis to Los Angeles. Brady going for his sixth Super Bowl win is certainly intriguing, but apart from that and the whole Bill Belichick vs. Sean McVay “chess match”, there wasn’t a lot of ‘oomph’ this week leading up to the game. Even though the Rams have All-World defensive tackle and Defensive Player of the Year, Aaron Donald, I thought the Patriots had a heavier advantage in this game and would win relatively comfortably. Super Bowl prediction: Patriots 33, Rams 24. In the end, a surprisingly defensively dominated game resulted in the lowest scoring Super Bowl in NFL history, with the Patriots coming out on top 13-3 to clinch the sixth title of Brady and Belichick’s run together in New England. What an extraordinary run of dominance. 1. Why do I think the Bears would’ve represented the NFC in this game had they beaten the Eagles? Because they already proved that they can throttle the Rams’ offense — suffocating Jared Goff and Todd Gurley en route to a resounding win at Soldier Field. That was a game in which Mitch Trubisky was almost as bad as Goff. That sort of dominance doesn’t get wiped away with just adjustments because both sides make them. And even though that game would’ve been played in LA, does anyone really think the Rams would have had a home field advantage there? And while the Saints are generally really good at home, defense travels well. And Drew Brees had not been good in multiple weeks, displaying sub-par arm strength and accuracy. And keep in mind had the Bears beaten Philly, the Cowboys would’ve been the ones traveling to New Orleans in the Divisional Round; and the Cowboys had already destroyed the Saints’ offense once before this season — and like I said, defense travels well. 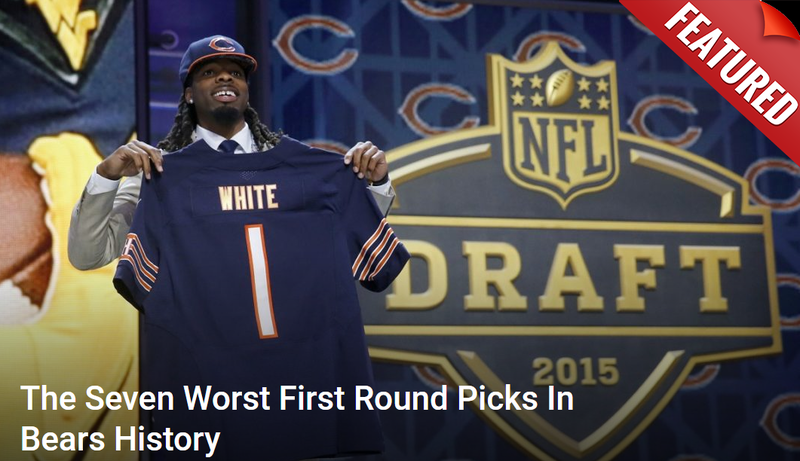 Is it a sure-fire thing that the Bears would’ve made it? Of course not — they’d still have had a young QB who was learning on the job and a kicker who had an EPIC case of the yips. But they had as good a chance as any. 2. I think the Patriots will win, and while I don’t really have a rooting interest in this game other than hoping to watch a good one, I do enjoy Brady’s dominance of the league and so I suppose I’d like for him to win his sixth. Has he had some luck getting to this point? Sure, the Dee Ford offsides comes to mind, as does winning the overtime coin flip in Kansas City. But he makes hay with the breaks he gets and then steps on the other team’s throat. It’s fun to watch; don’t take greatness for granted. 3. On the Patriots’ first two drives, they have run the ball well (mainly schemed their blocks very well). It’s pretty remarkable how much of Sony Michel’s yardage comes before the first hit. They have also been intercepted (on Brady’s first pass of the game that was well played by the Rams), and missed a field goal. And they’ve burned two timeouts. They haven’t appeared ready to play on offense so far. Matt Nagy always had the Bears ready to play. I’m just saying. Imagine missing the field goal AND the upright. 4. Though the first quarter ended scoreless, the Rams won that quarter. They confused the hell out of Tom Brady and made him look BAD, and they escaped unscathed despite all three Patriots’ drives ending in Rams’ territory. New England dominated time of possession, too (11:47 vs. 3:13), so at least the Patriots’ defense will be rested for the remaining three quarters. 5. Super Bowl advertisement winner of the first quarter: Hyundai. That elevator bit with Jason Bateman was hilarious. And the dig at veganism was amazing. 6. Julian Edelman is insane. His route running is ridiculous and he’s open by 3-5 yards on every play. The Rams have absolutely no answer for him; no wonder Brady trusts him. I can’t wait for Anthony Miller to become that guy consistently for the Bears, starting next year. 7. I understand benching Todd Gurley in the NFC Championship game because he was playing extremely poorly in New Orleans. What’s the excuse for tonight’s lack of use? This reminds me a bit of Matt Nagy’s limited use of Jordan Howard throughout the year — sometimes it just didn’t make any god damned sense. Use your best running back. 8. Google’s ad was excellent. In today’s social climate, that was great to see them push the power of positive emotion. 9. Per the media reports, Todd Gurley favored his injured leg in practice this week, so that may explain his absence at times so far … I’m assuming the Rams are more inclined to get him back out there now because Jared Goff looks terrible so far … absolutely terrible. 10. The first half ends at Patriots 3, Rams 0. The Bears have to be thinking that they’d be blasting the wheels off either team right now. My goodness. 11. No thoughts on the halftime show … I just don’t care. 12. The NFL wins with their commercial. That was outstanding. It was legitimately fun to watch. Also, low key, Baker Mayfield holding all of Tom Brady’s rings! The best football so far today has been that NFL100 commercial. 11. Patrick Chung got injured on the Rams’ first possession of the second half — they applied an air cast to his right arm. That’s a huge loss for New England’s defense. Chung is one of the better safeties in the NFL and he plays the run very well. As Todd Gurley picks up a head of steam in the next 30 minutes, the Patriots will miss his presence. Wishing a speedy recovery to him. 12. Ryan Allen and Matthew Slater have done an excellent job on downing punts today. Who would’ve thought I’d be talking about the punting in a Patriots-Rams Super Bowl? 13. Jim Nantz and Tony Romo are so much fun to listen to in the booth. 14. Verizon with an excellent commercial featuring Anthony Lynn and first responders. Outstanding. 15. Jared Goff missed a WIDE OPEN Brandin Cooks in the end zone, in the middle of the field, that would’ve been the first touchdown of the game. Alas, he was super late finding him, and the Patriots broke up the play. He has been brutal in this game. 16. Going into the fourth quarter, it is 3-3. Three to three. That’s not a typo. The Bears would've won this Super Bowl by 30. 17. The Patriots’ defense has been excellent tonight. Brian Flores is going to be introduced as the Miami Dolphins’ head coach tomorrow. Good for them; his game planning and play calling tonight have been strong. Jared Goff looks completely lost. 18. A TOUCHDOWN. FINALLY. What a great drive by the Patriots. A couple of big time throws to Rob Gronkowski set the Patriots up inside the five. The first play of the game run from inside the red zone then resulted in a Sony Michel touchdown run. 10-3 Patriots with seven minutes remaining. 19. Jared Goff with one of the worst interceptions of his career. Flores brought an all-out blitz, and a play after Brandin Cooks dropped a TD in the end zone, Goff’s back-foot floater was woefully short and picked off by Stephon Gilmore. If Goff doesn’t improve his poise under pressure soon, his career isn’t going to be anywhere close to what the Rams thought they were getting in the number one pick. Jared Goff with a brutal INT after playing brutal football for most of this game. 20. Rex Burkhead with the breakaway run to seal the Super Bowl. Why not? 21. That’s six for Tom Brady. This Super Bowl belongs to the defense and Julian Edelman, but Brady and Rob Gronkowski connected in vintage fashion on the lone TD drive of the game to put up the winning score. What a string of dominance from the Patriots. 22. Did I mention the Bears should’ve been playing and winning this Super Bowl? Ugh. 23. This was the final game of an extraordinary 2018-2019 season. From the Bears getting back to prominence, to young quarterbacks around the league showing the NFL is in good hands after Brady/Drew Brees/Philip Rivers retire, to two of the most entertaining conference championship games in recent memory, this has been a really fun and fast-paced season. I can’t wait until next year. A long seven months until the football games start to count again. The offseason just started and it can’t end fast enough.